This interview was conducted via e-mail by Lead Interview Editor Addison Rizer. Of the process she said, “Carmen’s Her Body and Other Stories is chock full of stunning imagery, strong women, and sharp tales. The collection radiates a dynamic intersection between fairy tale and horror, exploring what feminity is when these two genres meet. 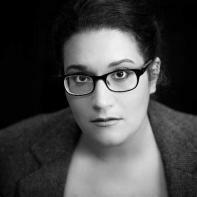 These stories are sure to surprise, to scare, and, most of all, to linger.” In this interview Carmen Maria Machado talks about oral tradition, pop culture, and the importance of playfulness in writing fiction. Superstition Review: Carmen, thank you so much for agreeing to this interview. Your collection, Her Body and Other Stories, is stunning. What a lovely, diverse, and honest group of women we meet, too. The emphasis on female bodies and the use of synecdoche in the removal of a connection between body and mind in phrases like “a spine should not be so afraid” really fascinated me. Can you talk about how you see the connection between body and emotions? We often associate feelings, like fear in this line, with the mind. What is the purpose of allocating it to the spine instead? Carmen Maria Machado: The body and mind are, powerfully, linked, but the body has its own animal responses, its own autonomy. That quality is very interesting to me, and shows up in my sentences and metaphors. SR: I’ve seen you discuss the topic of fairy tales and folktales and how they influence your writing. What do you see as the difference between these two genres of tale? Why do you lean towards folktales in your writing? CM: I’m sure a scholar of such things would be able to talk at great length about the difference between them, but I tend to use “folktale,” “fairy tale,” “urban legend,” etc. more or less interchangeably. I’m referring to stories that have existed in multiple forms across vast distances and time spans, that often grow out of an oral tradition, and that occasionally (though not always) have a tone of the surreal or the fantastic. I enjoy using them because they often reflect a kind of concentrated cultural id for their time period and locale; they’re always fun to explore, turn over, break apart. SR: There’s an emphasis on oration in these genres as well. In “The Husband Stitch,” there are moments where you address the possibility of someone reading your stories aloud, my favorite being the direction, “if you are reading this story out loud, force a listener to reveal a devastating secret, then open the nearest window to the street and scream it as loudly as you are able.” These directions seem to suggest this story is meant to be read aloud. What do you think is altered in the way someone experiences the story when reading alone versus reading aloud? CM: Getting a story audibly and not visually are two totally different things. One isn’t better than the other, but you can do things with the former you can’t do with the latter (sound effects, voice cadence, etc. ), and vice versa (graphic elements, certain visual/textual wordplay). And the way your brain processes the story is different, too—again, an expert on visual/textural vs. auditory processing would be able to explain it better. Personally, I’m a very fast and very visual reader; I prefer to have the text in front of me, be able to move back over the last sentence/paragraph/page with lightening, liquid speed, etc. But oral tradition has a distinct and important history, and that quality of changing slightly with every retelling, permitting real-world bodily responses, passing from person to person, etc. is very interesting to me. SR: Can you talk about the importance of pop culture in your work, especially in relation to “Especially Heinous” and the references to Law and Order: SVU? CM: Pop culture is just as part of our personal canons as the books we read or the “high art” we consume. Ignoring it—pretending like it’s not worth discussing—cuts off an entire limb of art culture and human expression. Even if you’re not a fan of pop culture personally, you’re still affected by it; it affects the society you live in, which in turn affects you. SR: Censoring is a prevalent theme throughout your stories, thinking specifically of the scene in which the character sees toes in the potato bin and is met with disbelief, afterward opting not to speak up anymore. Additionally, I loved the moment in “The Resident” when the writer simulates an interview in her head. How do you think the public nature of interviews cause a self-censoring, if at all? CM: I certainly think all writers self-censor during interviews, to some degree. There are tons of reasons for this, especially now: an interview on the internet can go viral in a matter of minutes, whereas writers may have been more forthcoming in the past in print interviews with a limited audience. In any case, there’s also the fact that human experience is not equal: if you’re a woman, or not white, or trans, or queer, your words will be judged more harshly; the candor of minority populations is not valued by the majority. The majority loathes being made to feel uncomfortable in any way. SR: I loved the “what if” game you described playing with your wife in your interview with The Millions. You said you’ll come up with a “fantastical alteration” of something you both see, and it spirals from there. I think games like that really circle back to games we played in our childhood. Can you talk about how this game, or games like it, benefit your writing? What do you see as the impact of considering alternate realities on this reality? CM: I think that everyone starts out with that sense of “play,” and most people have it beaten out of them, or neglect it to the point of atrophy. The ability to imagine what could be, what might be—whether it’s fantastical or simply fictional—is what makes fiction work, and if you can’t do that, writing fiction is very difficult, maybe even impossible. It’s not a matter of intelligence, either; there are plenty of very intelligent but very literal people for whom this act of imagination/creation is beyond their ken. That’s why I think maintaining that sense of play, and playfulness, is so critical.